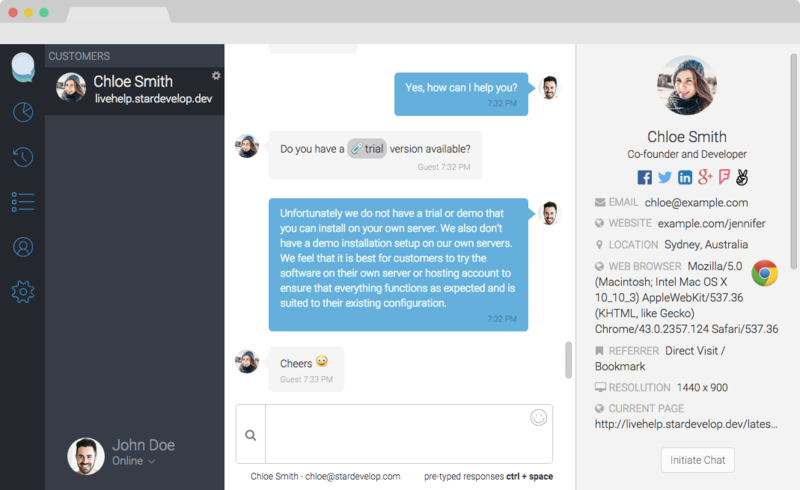 The Chatstack Windows app allows you to chat with your customers using a native Windows desktop app. As you chat with your site visitors, you are alerted to what web pages the customer visits. You are also able to easily switch between chatting visitors if you are chatting to more than one visitor at the same time. Provide a speedy response and keep your customers happy. Your team can access pre-typed responses for frequent questions that your customers ask and you can respond within seconds. When using the Chatstack Windows app you are also able to easily send the chatting visitor files and images. The file transfer feature is useful if you need to send the visitor a screenshot or other attachments. Supports Windows 7, Windows 8 and Windows 10. While chatting with your web site visitors or customers you can easily access social links such as Twitter, Facebook, LinkedIn, Google+, Foursquare and GitHub profiles. 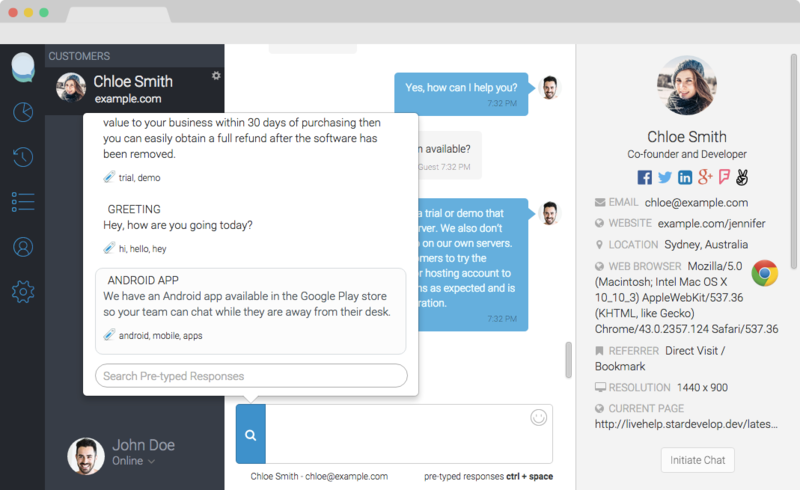 Instantly gain insight while chatting with potential customers and leads. 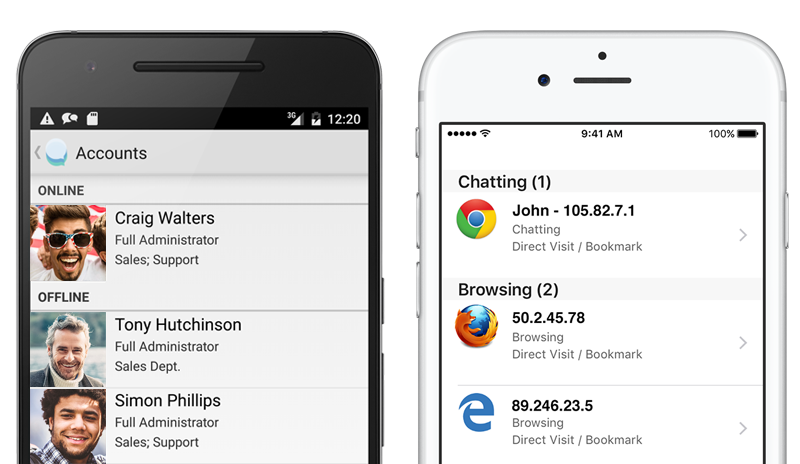 Live Help supports both iPhone and Android native mobile apps. The mobile apps will allow you to chat to your site visitors from your mobile device. You will also be able to monitor your browsing web site visitors and accept incoming chat requests from your web site visitors right on your phone. Pricing for the iPhone and Android app add-on starts at US$14.99. You can customize various parts of the live chat window from within the settings. 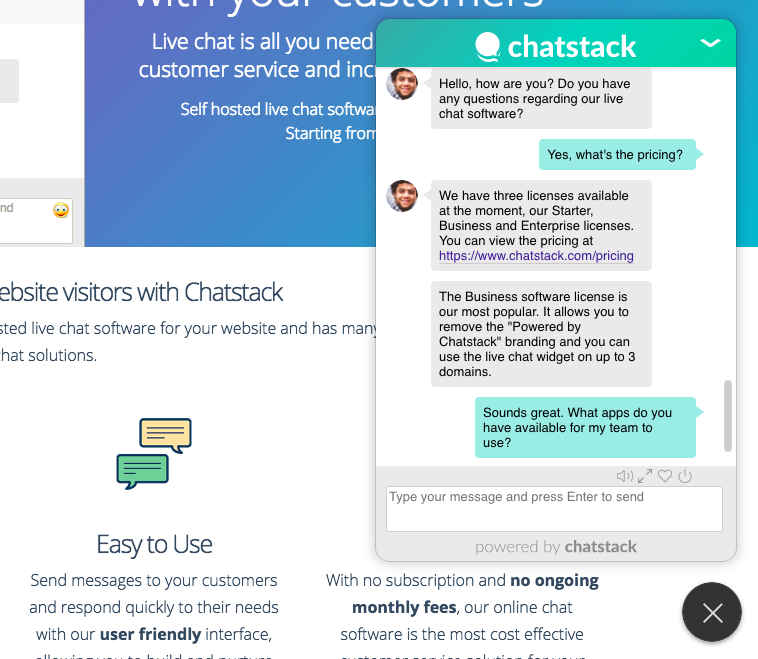 Settings such as the company logo, campaign link / logo, online / offline status images, and fonts can be adjusted when logged into the Chatstack app as an operator. In addition to this you have access and can customize the CSS style sheets for any advanced customization. Below is a screenshot that shows the full customization that is possible. The images and CSS styles have been modified to match the web site exactly. 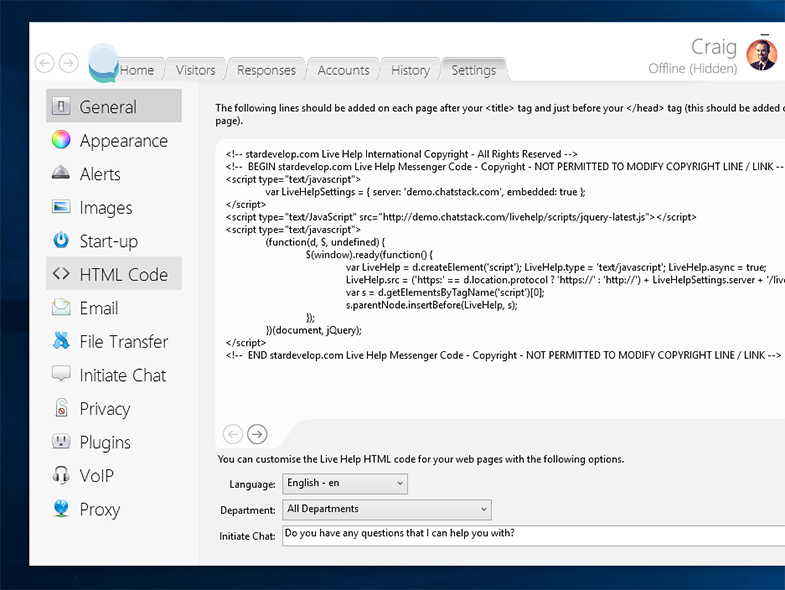 The business has also purchased the Copyright Line / Link Removal option so that no link is shown at the bottom of the chat window. Fully customisable chat window including images, CSS styles etc.